A medium bridge positioning creates more balance to the face, creating a versatile look allowing you to match your Versace VE3156 glasses to your outfit. These plastic glasses are perfect if you live an active life. They're lightweight, smart looking, and made out of a blend of high-quality plastics. The thick fully rimmed frames are a real showstopper. 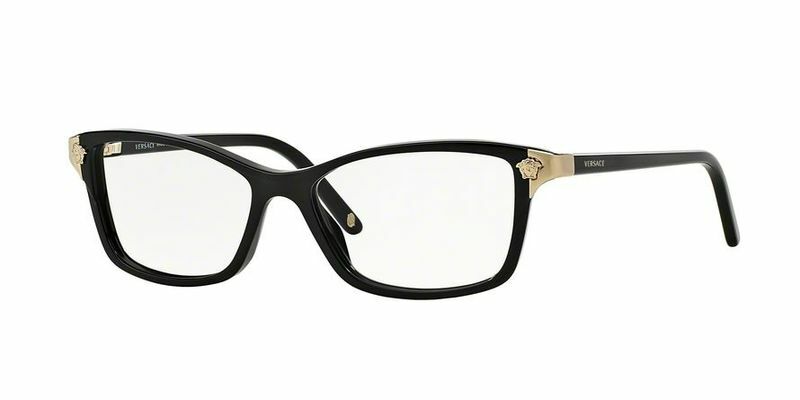 You'll be able to let your personality shine through your eyewear with these unorthodox Versace VE3156 eyewear frames. These casual Versace VE3156 frames suggest you lead a carefree life. You're the type of person who doesn't get affected, and you'd rather enjoy life rather than get caught up with minor details.